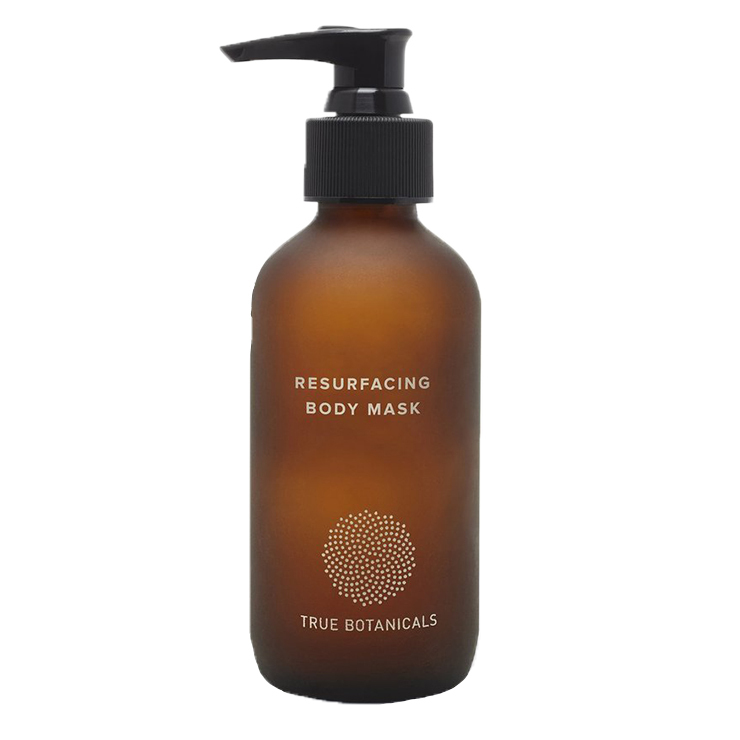 What’s good for the face is good for the body, which is why True Botanicals created the beautiful Resurfacing Body Mask. Designed for those dealing with dry, dull, rough skin, this body mask is made with plant-derived lactic acid to offer a feeling of head-to-toe silky smoothness and long-lasting hydration. Antioxidant green tea calms feelings of inflammation and improves the appearance of aging skin. Sandalwood and Indian rosewood oils lend a sense of calm and carry a sweet woodsy aroma. Cedarwood visibly improves signs of irritation, while relieving feelings of stress and tension in the body. Skin is left looking fresh, rejuvenated, and glowing. Massage the lactic acid mask onto dry skin and allow to remain on skin for 5-15 minutes. Rinse off in the shower or bath, and follow up with body oil, lotion, or cream. For best results, use once to twice weekly to keep skin feeling ultra-soft, smooth, and hydrated. Camellia Sinensis (Green Tea) Leaf Extract*, Lactic Acid (From Fermented Plant Sugars), Glycerin*, Amyris Balsamifera Bark Oil, Citrus Aurantium Dulcis (Orange) Peel Oil, Juniperus Mexicana (Cedarwood) Oil, Pogostemon Cablin Oil, Santalum Austrocaledonicum (Sandalwood) Oil, Bulnesia Sarmienti Wood Oil, Cinnamomum Zeylanicum Leaf Oil, Phenethyl Alcohol. This is a great product to reveal fresh skin. I slather a light layer all over the body about 15 minutes before showering. It is more effective than a regular scrub to refresh skin by working off older layers of skin.